Once you&apos;ve activated your platform, you will want to put the necessary information about your church in the platform. This info is helpful for communication and Search Engine Optimization. 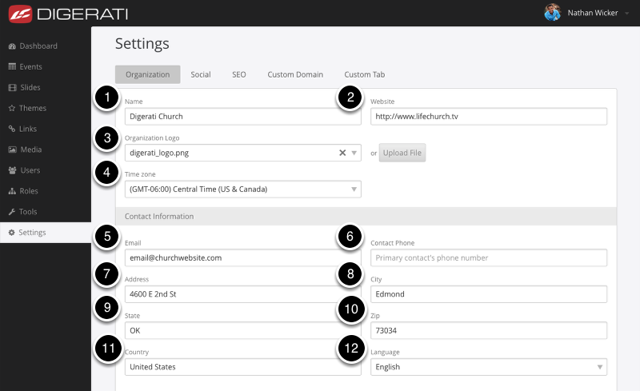 It will will make it easier to locate your Church on the web and bring consistency from your main Church Online site. When complete, save your work.